Venezuela has achieved the goal of zero emission of inorganic money. 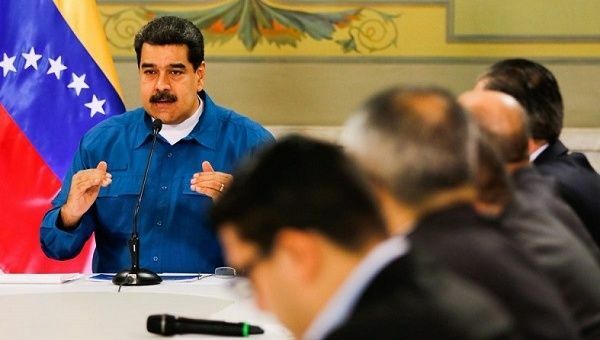 Sept 20 (teleSUR) Venezuela has achieved the goal of zero emission of inorganic money and has collected a total of 4.6 billion sovereign bolivars, representing 35% of this year’s tax collection, in 30 days of the implementation of the Economic Recovery, Growth and Prosperity program. The information was released on Thursday by the President of the Bolivarian Republic of Venezuela, Nicolás Maduro, from the Miraflores Palace, where he led a meeting with his economic team and from which he described as “a virtuous tax and tributary balance”, the achievements reached in the first line of the program driven to generate new equilibria from the economic “martyred, assaulted and affected” by the economic war and the unilateral sanctions that have hovered over the country. He added that among other benefits the Economic Recovery Program has managed to get money circulating out of the economy and therefore working against inflation in the country, resources that then enter state coffers to invest in education, housing and health.